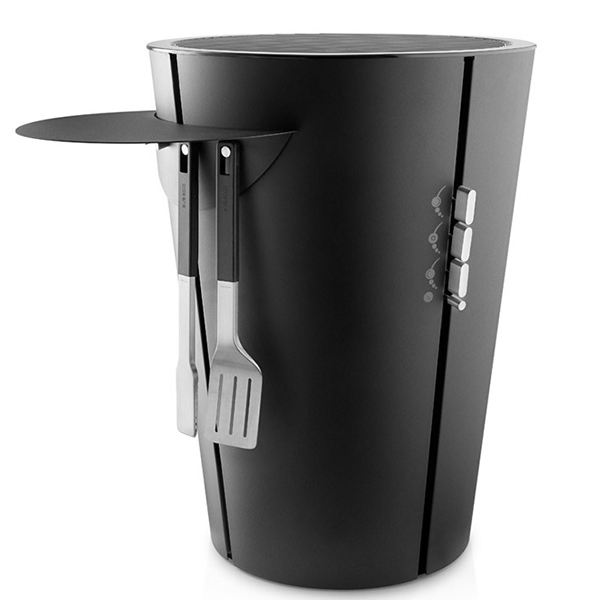 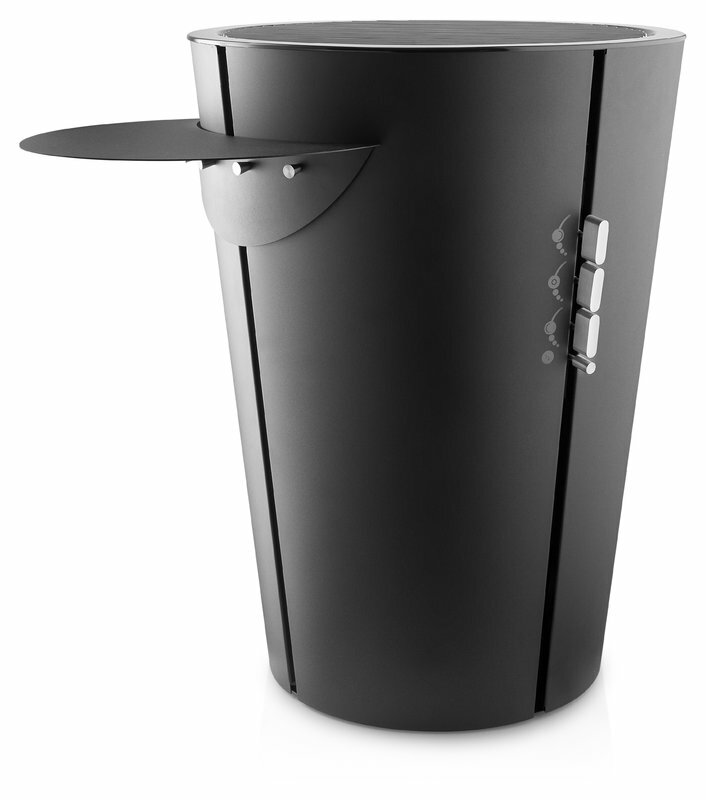 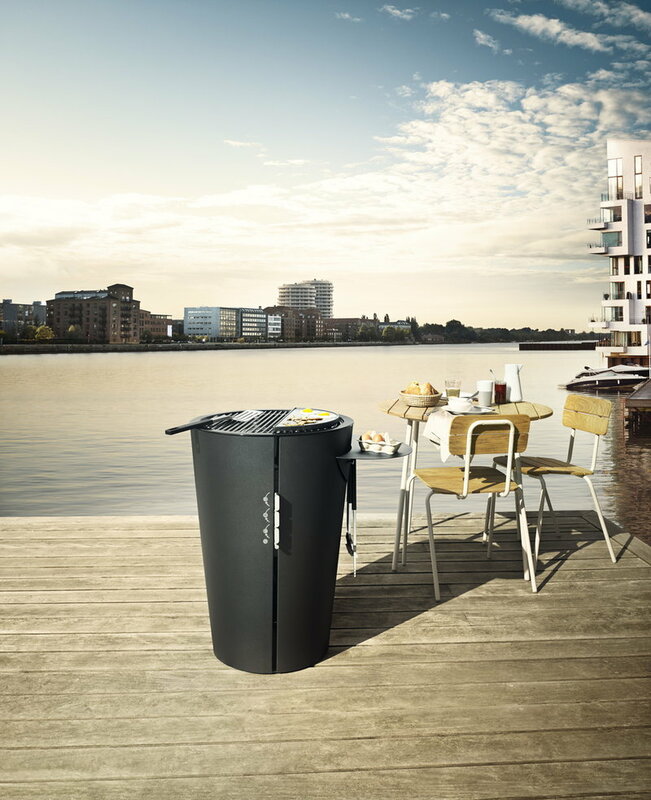 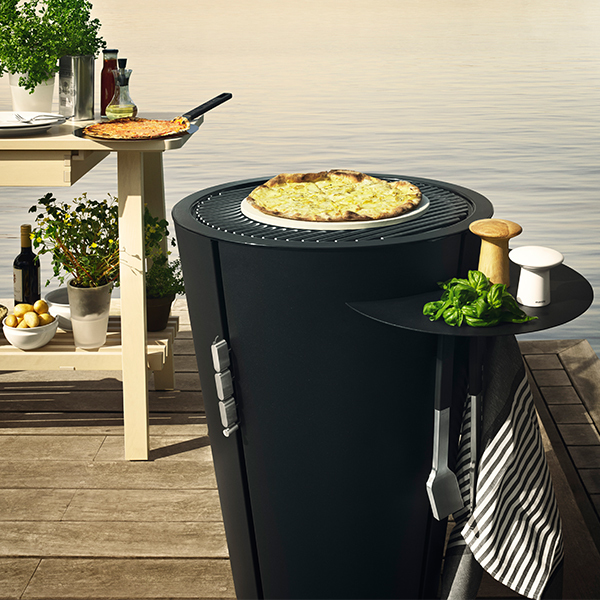 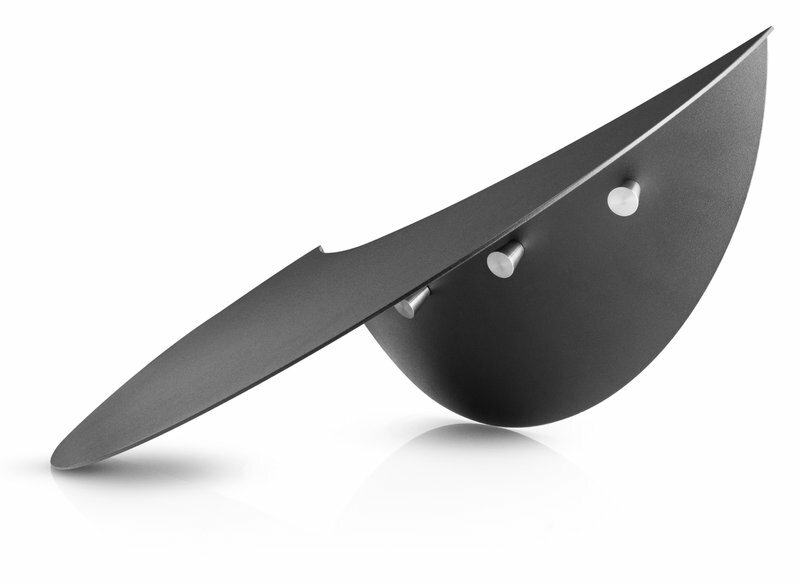 Eva Solo’s grill side table is a convenient addition to any round gas and charcoal grill with a diameter of 59 cm. 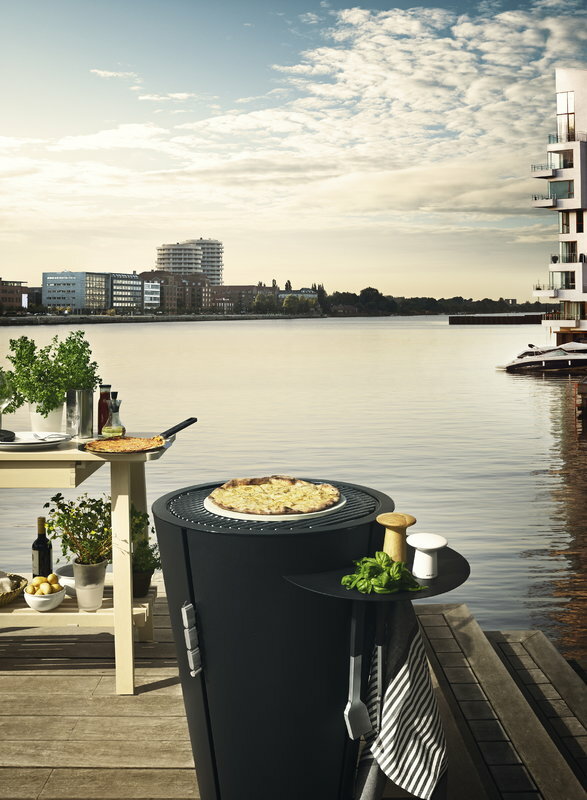 When attached, the table functions as a small worktop and creates extra space for herbs, spices and ingredients such as meat and vegetables. 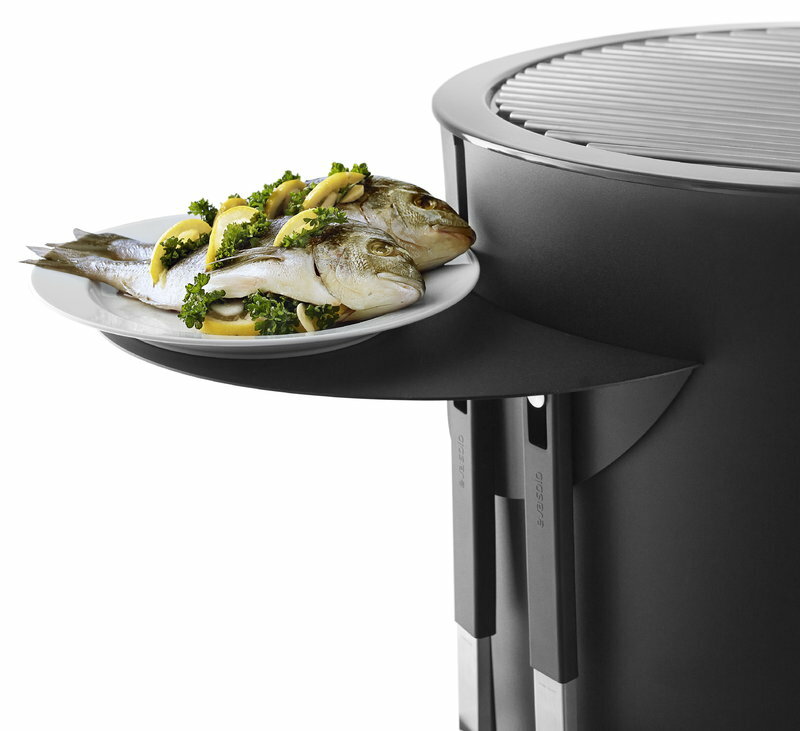 The knobs under the table top keep grilling utensils at hand. 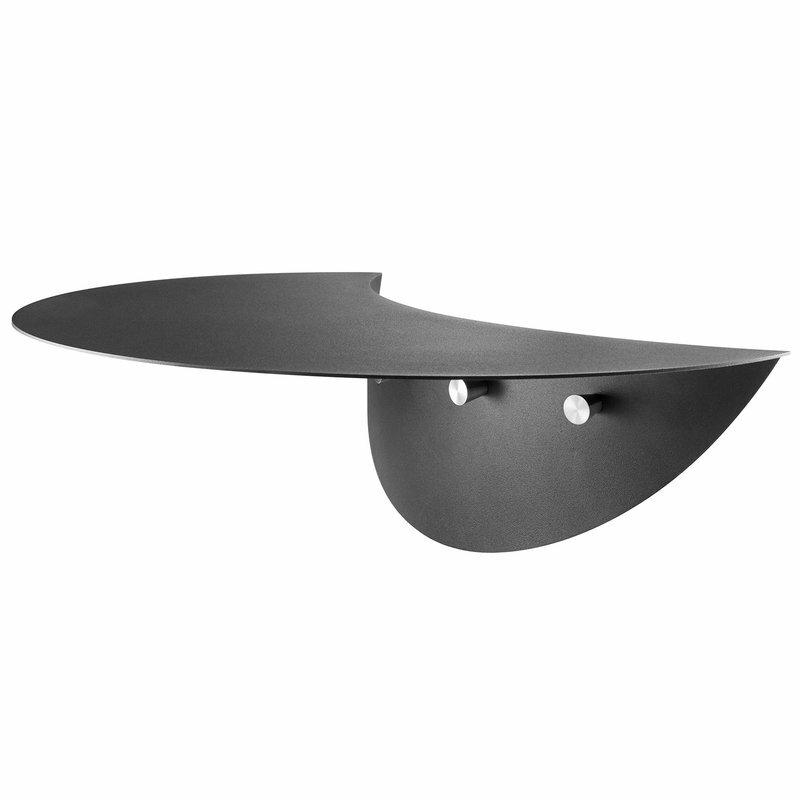 Once the table has been mounted with the accompanying bracket, it is easy to remove and install when needed.